No matter what area of the country that you are visiting, you’ll find an interesting assortment of all types and varieties of half and full day tours, most of them leaving daily from their local area. Whether this is your first vacation to Costa Rica, or you are visiting again to enjoy more of our National Parks, rivers, or maybe museums in San Jose, you will find the list below helpful in finding the right area and the right tour for you. 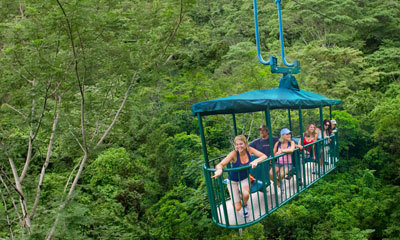 The list is arranged according to the six commonly recognized geographical regions of Costa Rica. You can find your half or full day tour, activity or interest, and then you’ll know where to book your hotel. Full day, out of the area tours are also available from each location if you decide to stay put in a favorite hotel. Good hunting and touring!